Note: I had not heard of DCAA Compliance three days before I wrote this. A Department of Defense (DoD) contract can be great for your company. The work is lucrative, you will get paid, and if you do a good job, there’s plenty more where that came from. It can be considerably more troublesome than other contracts in some ways, though, particularly in regards to your accounting procedures. For DoD work, your books must not only be kept impeccably, but in strict compliance with the guidelines of the Defense Contract Audit Agency (DCAA). * Count on being audited upon bidding, during the work, and/or upon completion. This will not happen with every job. In fact, it may happen only rarely in your working relationship with the DoD. But since you do not know, the prudent course is to be prepared at all times. The regulations are quite demanding and often attract criticism for that reason. While there is no question they can be a real headache sometimes, it is important to understand that there is good reason for them, that they protect you as well as the government, and that, like it or not, compliance is required. 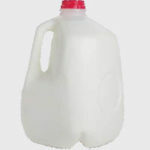 If you’re buying a gallon of milk, you can check the market—in other words, comparison shop—to see if the price your store is asking is reasonable. Because there is no market per se for the goods and services the DoD generally contracts for, they must keep a very close eye on how their contractors are spending their money. These regulations are what keep the DoD—and therefore you as taxpayer—from paying for a contractor’s family trip to the islands or for a $500 hammer. And if you are having trouble getting paid, they are what allow you to prove that you have, in fact, spent the money in accordance with the terms of your contract. Simply put, DCAA compliance makes sure nobody cheats. And their demands really are not that unreasonable. For the most part, they just require strict adherence to the customary practices of accounting, which almost no one does because in the normal course of business, many are legitimately not needed. Your clients to date probably do not care how much per hour each employee gets for their work on a project. The DoD does. While submitting an invoice for total labor cost is acceptable for most contracts, and may even be for a DoD contract, if you are audited, you must be able upon request to present records showing how that figure was arrived at, i.e., how much each person was paid for each hour they worked. With other invoice items, you may be required to show that the way you are figuring costs is standard practice for your company. If you are invoicing DoD 2% depreciation per hour per tool used on a project, then your records must show you invoice every client 2% depreciation per hour per tool. Reasonable though it may be, though, compliance is not always easy. If you or your accounting staff do not have considerable experience with the DCAA, trying to do it on your own the first time is probably a bad idea. You might do just fine. But frankly, the odds are against it. If preparing your personal income tax with the 1040EZ form is your normal bookkeeping, DCAA compliance is preparing your taxes using a regular 1040, Schedule Cs, Schedule Bs, Schedule SEs, itemized deductions, compound interest, etc. Once it’s been done for you by a professional tax accountant, you might be able to do it yourself succeeding years, but don’t try it until you have that template. Similarly, you’ll want to be sure you at least have a template before you try for DCAA compliance on your own. It’s not a perfect analogy, though. 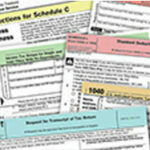 Doing your own taxes with a template is relatively easy because your life is pretty similar from year to year. Your business is going to vary quite a bit more, especially now that you’ve added DoD contracting to it. It is certainly reasonable to keep it in house, as a great many companies do, but your best bet is to hire an expert to get you set up with software and training your first time out. At the other end of the spectrum, you can outsource the whole thing. This eliminates almost entirely that particular headache, as well as hands over accountability to someone else.† This also means you will not need your own IT department since the company you are outsourcing to will handle all that for you, including automatic, cost-free updates on your system and any other maintenance required. There are also many choices along that spectrum, handing off some parts of the task and keeping some in-house. When researching which consultant to choose, there are some things to keep in mind other than the ordinary due-diligence. See how many services they can offer you. Some will only set you up and get you going, and that may be all you need. But as your company grows, you may find a need for someone to take care of your payroll, for instance. Many firms can also handle your marketing, including your web site. Many firms that do not provide these other services themselves partner with companies that do. Just some things to think about. Choosing well will make compliance—and life—a lot easier. *These guides are available on the DCAA web site: www.dcaa.mil). †So, if anything is done incorrectly, they are responsible, not you, and they will assume all costs, and perhaps all time, involved in an audit.